Virtual reality just got even more real. 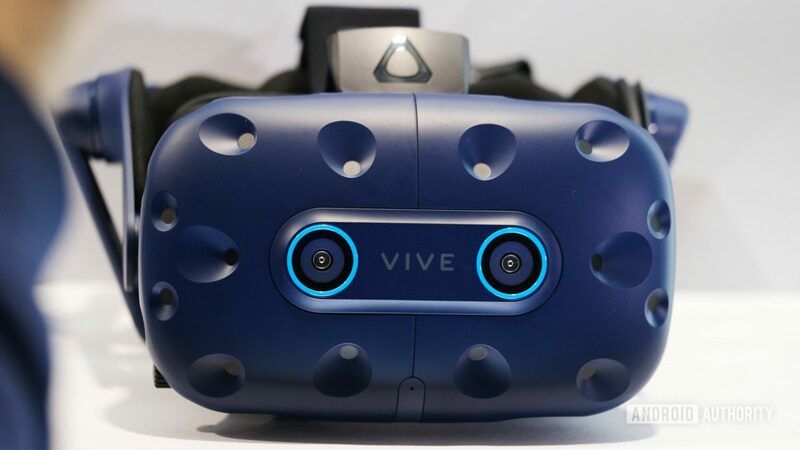 The all new HTC Vive Pro Eye headset has made that happen in spectacular style, with revolutionary precision eye tracking which has been added to its already long list of features, such as world-class graphics, high-end audio, and expansive modular tracking. The HTC Vive Pro Eye puts your eyes in control. LED sensors are located around the lenses, and this enables tracking and analysis of eye movements. Your eyes become “an intuitive controller and intention communicator”, to quote the manufacturer, which results in vastly quickened reactions, insightful data collection and much more. From now on, you just look at your target and aim with precision. You no longer need to point with the controllers! Plus, with your eye movements and blinks being tracked, then instantly mimicked by your avatar, interactions are much more expressive and real. Vive Pro Eye’s eye tracking really has to be seen to be believed! But there’s a whole lot more to love about this great piece of VR wizardry. That includes brilliant Hi-Res certified audio 3D spatial sound, which really is mindblowing, along with optimized ergonomics for superior comfort and extended use, and breathtaking resolution thanks to massively increased PPI. These are just a few of the features that make the Vive Pro more than just a feast for the eyes! They really can say that they’ve made virtual reality even more real with this VR headset. HTC Vive Pro is different to the original HTC Vive headset in many respects. First of all, the colour has changed from black to bold blue. Second, Vive Pro sports two cameras. Second, the design has been upgraded and allows for a more comfortable fit and requires less of adjusting straps. Thirds, the connection is DisplayPort 1.2 instead of HDMI. HTC has also announced the Vive Cosmos headset that will be released in the third quarter of 2019.